“He is also the Patron Saint of Scouts everywhere. Therefore all Scouts should know his story. 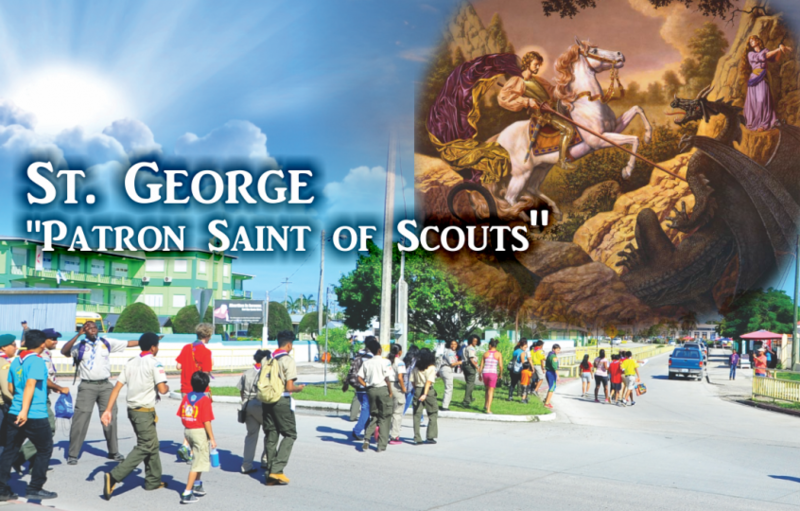 St. George was typical of what a Scout should be. “When he was faced by a difficulty or danger, however great it appeared, even in the shape of a dragon – he did not avoid it or fear it but went at it with all the power he could … That is exactly the way a Scout should face a difficulty or danger no matter how great or how terrifying it may appear. He should go at it boldly and confidently, using every power that he can to try and overcome it, and the probability is that he will succeed. “St. George’s Day is April 23, and on that day, Scouts remind themselves of their Promise and Scout Law. Not that a Scout ever forgets either but, on St. George’s Day, he makes a special point of thinking about them. Remember this when April 23 comes round again”. So, the Sunday nearest to St. George’s Day has become an annual occasion for United Kingdom Scouts to hold ceremonies when they reaffirm their Promise and acknowledge the Scout Law in a national act of dedication. It is thought that St. George came from Cappadocia in Asia Minor and lived at the time of the Roman Emperor, Diocletian, AD 245 to 313, and became a high ranking cavalry officer in the Army of Rome. He refused to carry out Diocletian’s orders for Christian persecution and, in consequence, suffered torture and death himself. He was canonized in AD 494, Pope Gelasius proclaiming him one of those “whose names are justly revered among men but whose acts are known only to God”. Easter holiday best wishes, from BSF. 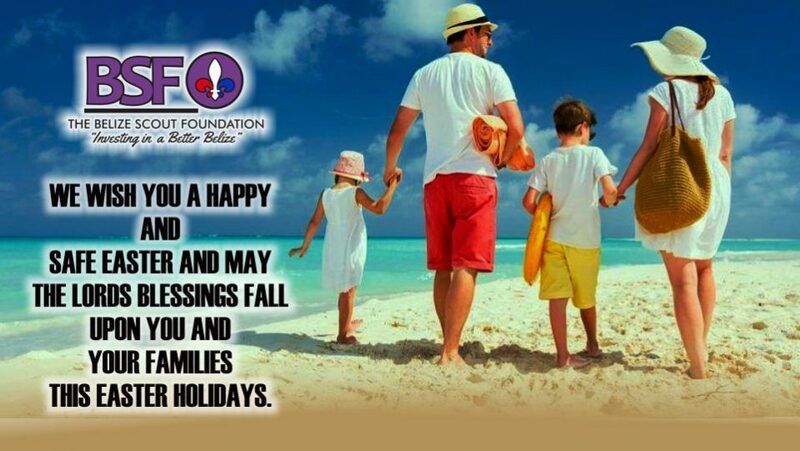 The Belize Scout Foundation – Wishes the best Easter celebration. Here you find some news, online need to download the magazine in pdf file format. Click and save in your computer or device. the link below. Happy Birthday Dr. Rene Villanueva! May God’s blessing be upon you to see many more. Enjoy! 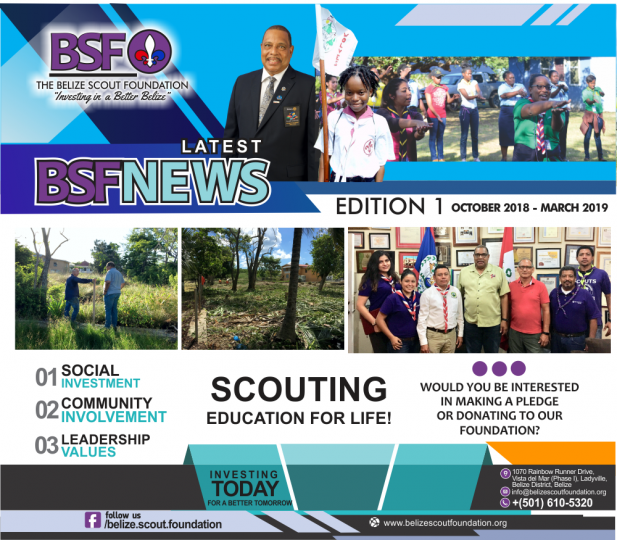 all members from your Belize Scout Foundation Congrats you! 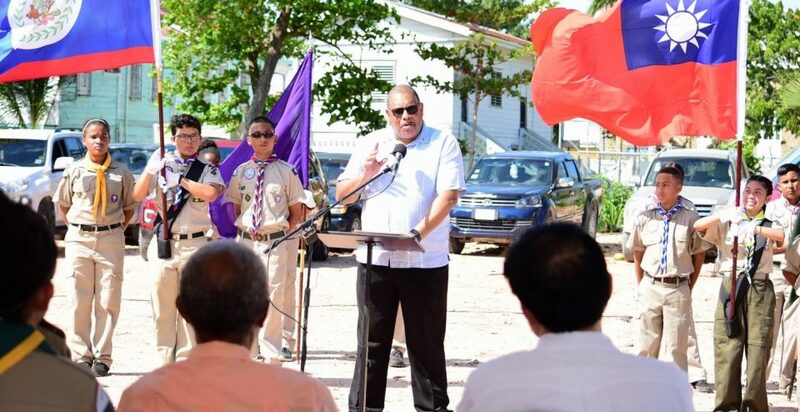 The Belize Scout Foundation held groundbreaking ceremonies for the “Sir Colville N. Young Building” home of Scouting in Belize. The ceremony took place on February 25, 2019 at the Scout lot on Albert Street behind the Girl Guides Hut. Guests started arriving between 1:30 to 1:50 p.m. and were greeted by a guard of honor mounted by the Scouts of Belize. 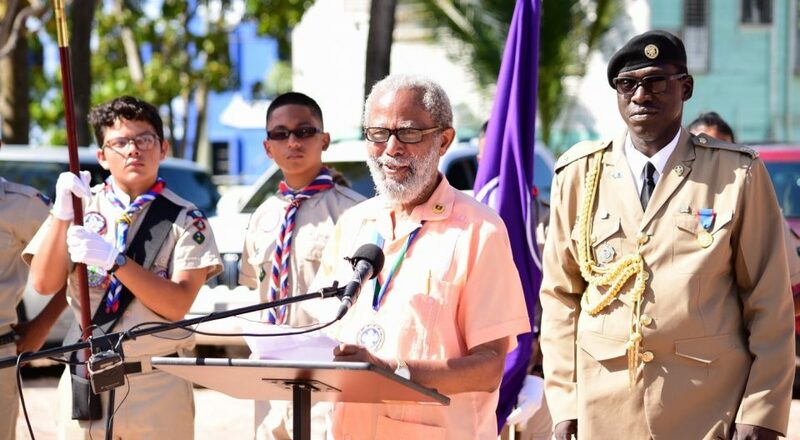 The ceremony started at 2:00 p.m. sharp with the arrival of His Excellency Sir Colville N. Young, Governor-General and Patron of the Belize Scout Foundation. The Belize national anthem was sung by everyone present followed with the playing of the Republic of China (Taiwan) national anthem. 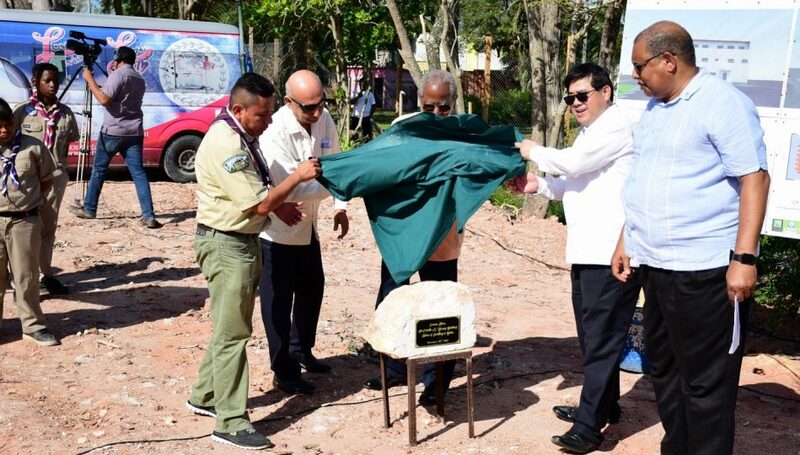 February 25, 2019 The Belize Scout Foundation held groundbreaking ceremonies for the “Sir Colville N. Young Building”, home of Scouting in Belize. The ceremony took place on February 25, 2019 at the Scout lot on Albert Street behind the Girl Guides Hut. 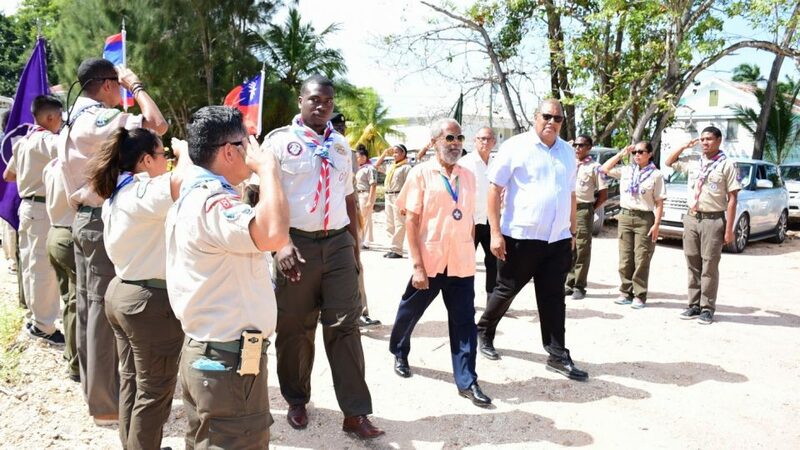 Guests started arriving between 1:30 to 1:50 p.m. and were greeted by a guard of honor mounted by Scouts from the Belize, Corozal and Toledo districts. The Belize National Anthem was sung by everyone, followed by the playing of the National Anthem of the Republic of China (Taiwan). 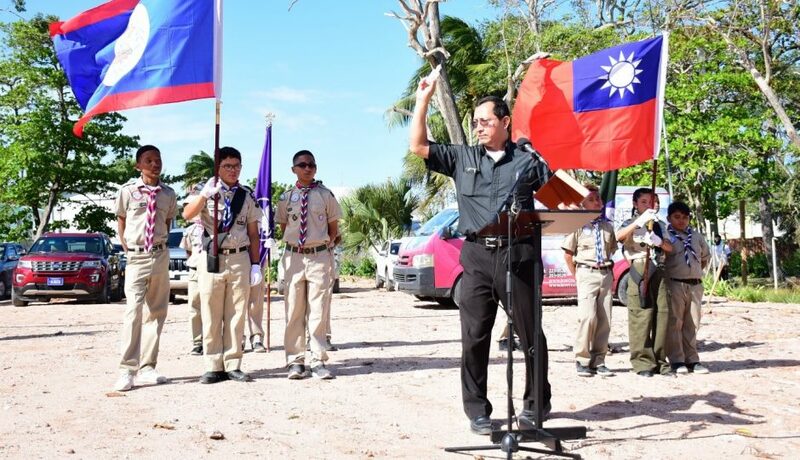 Immediately following was the Scout prayer by Venture Scout Felina Luk and the welcome address delivered by the President of The Scout Association, Mr. Armando Aban. Chief Scout Major Eric Neal then gave an overview of Scouting in Belize. 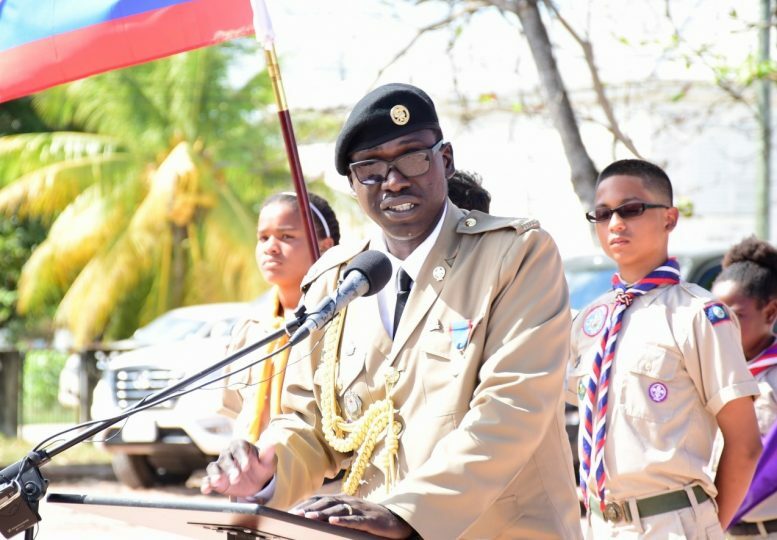 He narrated his experience growing up on the south side of Belize City and the challenges associated with gangs in his neighborhood and how Scouting helped in molding him into the person he is now. 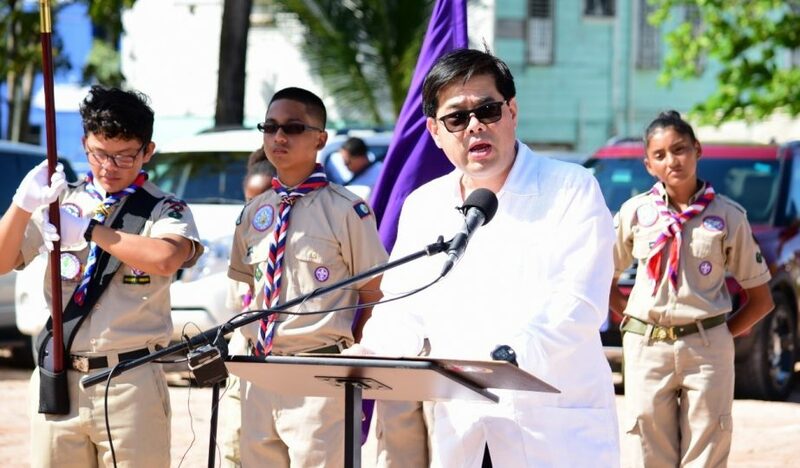 Dr. Rene Villanueva, Chairman of The Belize Scout Foundation, delivered an address in which he spoke about the work of the Foundation and its financial support to The Scout Association. 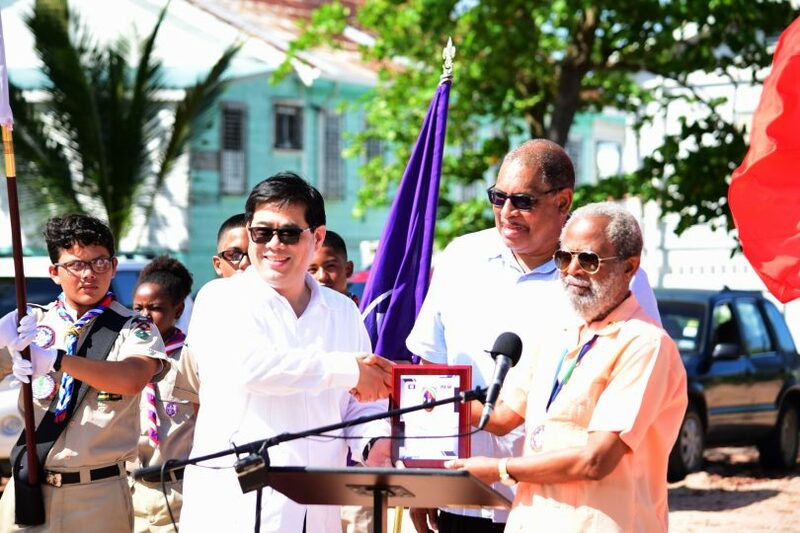 He also focused on the challenge accepted by the Foundation to build the “Sir Colville N. Young Building”, the home of Scouting in Belize, the need for the building and support needed from the business community to be able to construct the building. 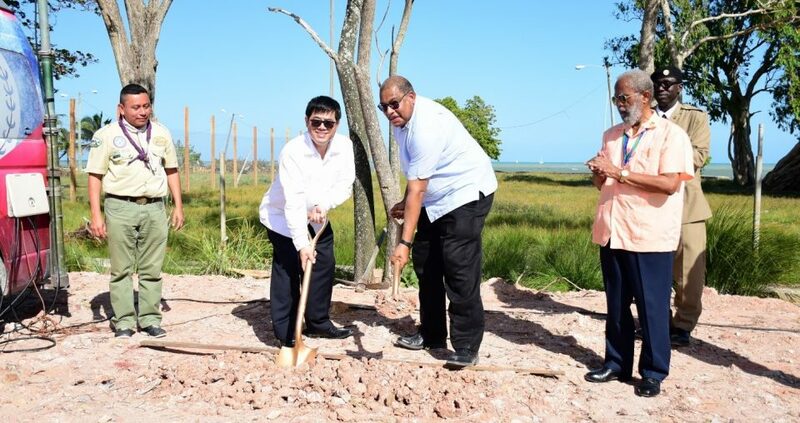 An address was also delivered by His Excellency Mr. Remus Li-Kuo Chen, Ambassador of the Republic of China (Taiwan) who at the same time made a most timely and generous presentation of a check for a total of $200,000.00 to His Excellency Sir Colville Young towards the construction of the building. 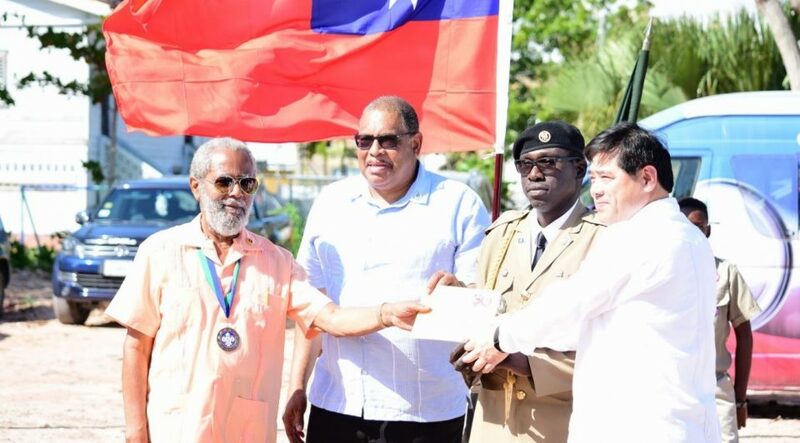 In receiving the hefty donation, Sir Colville thanked Ambassador Li-Kuo Chen on behalf of the Foundation and the Scouts of Belize. The Keynote address was delivered by His Excellency Sir Colville N. Young who thanked the Government of China (Taiwan) for their generous contribution to the building and then he related one of his famous stories. The unveiling of the cornerstone and groundbreaking followed. His Excellency Sir Colville Young, His Excellency Mr. Remus Li-Kuo Chen, Dr. Rene Villanueva, Chairman Emeritus Mr. Julian Castillo and Mr. Armando Aban took part in this symbolic act. The blessing of the grounds was conducted by Reverend Amelio Chi from Our Lady of the Way Church in Ladyville. The vote of thanks was delivered by Venture Scout Adrian Pott who thanked everyone present and those that assisted in some manner in bringing this project on its foot. Refreshments were then served. The Master of ceremonies was Mr. Armin Arana. A special thanks to LOVE FM for broadcasting live the entire ceremony. Also to Special Events Rentals for providing the canopies, chairs, tables and drinking glasses for the event. Site design and management by Mike Sheppard and Alejandro Tovar.